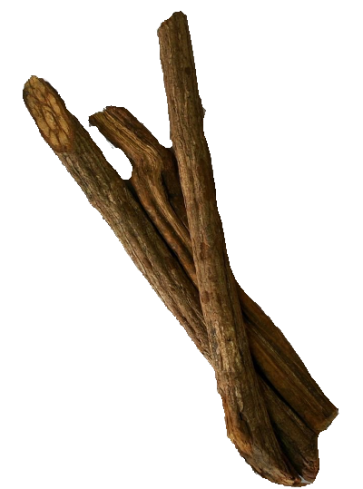 Banisteriopsis Caapi Trueno contains a high level of MAO-inhibitors, and has a purgative effect. It is used to make medical and visionary brews like ayahuasca in the Amazons. Trueno means Thunder... expect some heavy weather. Banisteriopsis Caapi is used to make ayahuasca - a brew consumed by shamans to get in touch with the spirits. The ayahuasca (=”vine of the soul”) is considered a “plant teacher” due to its capacities to teach men things that were unknown before. 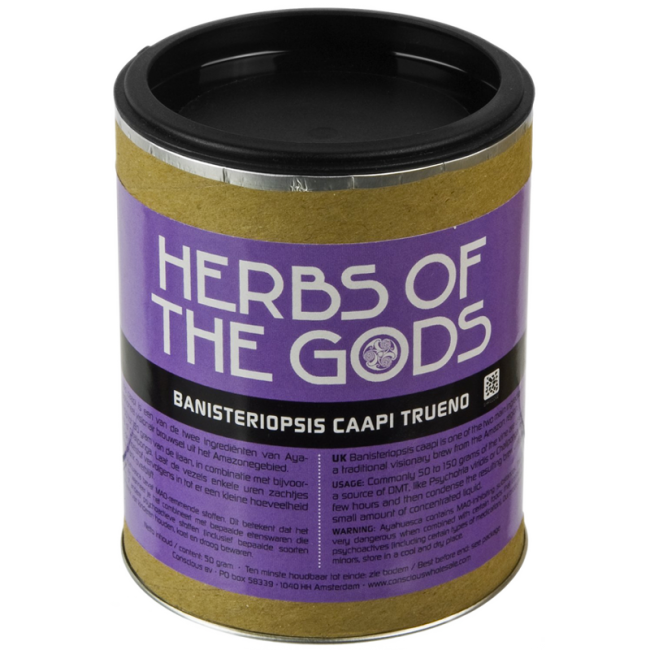 Banisteriopsis Caapi allows the other active part of the ayahuasca (DMT) to become orally active. The B. Caapi contains MAO-inhibitors and many alkaloids. Consuming the ayahuasca brew works hypnotic and hallucinogenic. More information on Ayahuasca and its use through history can be found here. Indigenous peoples distinguish up to 40 different types of the B. Caapi. The Banisteriopsis Caapi Trueno, is also know as Black caapi. Trueno, means Thunder. The B. Caapi is also used as a medicine. It is known to have healing properties as a purgative, by stimulating the digestive track and extinguishing parasites. Crush the vine with a hammer or pounder until the plant unbinds to soft, fibrous threads. The doses to take varies from 25-150 grams, depending on the user, the quality of the plant, and the intention of the user. Warning! This products is illegal in France and Australia. Be very careful to combine the B. Caapi with medication. Make sure to consult your doctor or pharmacist first.